South East Asia has become the number one destination for new travellers, as they go in search of a different culture and lifestyle that will alter the way they see the world and leave them with breathtaking moments they will remember for a life time. Well these come in thick and fast throughout Vietnam, with so much to see. It almost seems a shame that so many people opt to spend 90% of their time in Thailand and leave little to no time in neighbouring countries. So read on for my list of things you have to do and see while travelling through Vietnam. This one comes with a caveat, as some of those images are ruined by the ridiculous amount of tourists present, however it is little surprise as the scenery is absolutely stunning. Now recognised as one of the modern wonders of the world, Halong Bay closely resembles a poster I had in my room as a child of the Lego pirate scene. You can even spend the night on one of these boats, which makes for a great opportunity to watch sunrise from the water. You can’t visit Vietnam without visiting the capital, based up in the North of the country. The area has a strong French history, in the Ba Dinh District, however the best place to see is actually the Old Quarter, or Kiem District. In the evening this area truly comes alive, with restaurants serving people everywhere and people on peds charging down the windy streets. I’d recommend walking along and down to the lake. Just be prepared for the crowds, this area is a great attraction, but I wouldn’t want to spend too long here, it would give me a headache. I will be honest, claustrophobia kicks in for me. I did the Silver mine tours in Potosi (Bolivia) and hated every second of it, however I was in the minority as most people loved the experience. You don’t have to climb through the tunnels though, simply standing outside it and having a guide talk through the history of the wars and how they used the tunnels is enough to feel amazed and happy. An added bonus, while here you can have a go at firing an AK-47, always something fun to do! This has been a UNESCO world heritage site for well over a decade now, these caves are ridiculously humongous. You can get a boat ride up to the caves and then venture in, but for most you will just take the boat ride, as some of the actual tours are very expensive. While in the area, it is worth exploring the jungle, where there are a large number of waterfalls and wild animals. You can also just hire a scooter and ride to the two caves, rather than paying for the tours, where you are slightly rushed through. Ah, hello fear of heights, it has been a while. 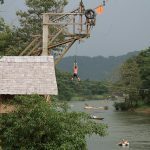 For all the adrenaline junkies, Dalat is fast becoming the place to visit. There are a number of activities you can try, with the perfect terrain, however the most popular is canyoning down the waterfall. The views are stunning, so inevitably it’s an area you will want to take some snaps of. If you visit at the right time of the year, you could watch a picturesque spectacle. Taking place on the Lunar New Year, or Tet, Hoi An citizens celebrate by setting off lanterns into the sky. You don’t have to worry about missing it either, as the festival lasts an entire week! As well as the lanterns burning into the night sky, many people also light up lanterns and set them free into the river. Whenever you visit any country, there are some foods you absolutely have to try. Well it would be a sin if you were to leave Vietnam without trying Pho. It’s relatively cheap and there are many different options to choose from. If you open up a travel guide for Vietnam, you will normally be welcomed by one of two images, Halong Bay or Muong Hoa Valley. Based in SaPa, it is a rice growing farmland, surrounded by mountains, with a little river passing through. There is something slightly dark and creepy about these, but in an amazing and magical way, if that makes any sense at all. The puppets are over a pool of water and act out various scenes from Vietnamese folklore. I spent my childhood on holidays to beach resorts, where you’d see a one or two man show of Punch and Judy, however this is something completely different, with tens of actors playing the various puppets, while an orchestra is playing throughout. The best spot was in Ho Chi Minh, at the Dragon Water theatre, however there will undoubtedly be others dotted all over the country. I just mentioned the theatre in this city, but I couldn’t write another ‘thing to do’ without highlighting this amazing city. The giant skyscrapers show the modern side of the city, however they are right alongside the deteriorated colonial remnants of the past, highlighting the rich history of Ho Chi Minh. Whatever hostel or hotel you are staying in will be able to connect you with a Vietnamese cooking workshop within the area. We have a number of Vietnamese restaurants here in Brighton and the food is amazing, so I can only imagine how much better it is having it properly made in the traditional way. You can learn how to make it like the masters and wow everyone back home with your new culinary skills. 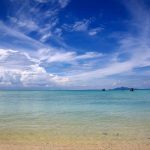 You have many to choose from, such as the watersports hub Vung Tau, or the postcard image of Nha Trang beach. The beach is also a great area if you’re looking for a good party, as the atmosphere definitely kicks up a gear in the evening, as the beach bars get a bit lively. The city where lanterns come to life is also the city where you will find a clothing bargain. I have a mate who purchased several suits here and got them all posted back home. Sure, it actually took 3 months for them to arrive back at his flat, but it was worth the wait, as these would have cost him half a fortune, yet cost him a mere £80 each in Vietnam. I like the fact that a number of the stall owners can custom make the clothing or shoes to suit your requirements or requests, meaning you will have something completely unique. This helps for someone like me, who would love Spaghetti Traveller written onto items. When people think of the landscape in Vietnam, sand dunes aren’t what first comes to mind, however the vast stretch of desert in Mui Ne makes for some great fun if you hire a quad bike. One extra bonus is that this is often left off the travel guide book, therefore it isn’t a complete tourist trap…I apologise for writing it here, hopefully it won’t become a cluster of drunken tourists any time soon. I’m not actually a big fan of Top Gear (please don’t hate me, I just find Jeremy Clarkson annoying), however I have to be honest and say the one where they travelled accross Hai Van Pass was really cool. If there is a group of you, try to hire a bike each and ride alongside each other along this stunning landscape. Just remember, it isn’t a quick journey, so pack up and leave early in the morning. This is one of those ones where you almost can’t believe it until you see it. Right along a tight street in Hanoi, with homes on either side, are the famous train tracks. But to my surprise, this wasn’t a relic of the past they hadn’t got rid of yet, no, this is a live track with the train going through twice a day. As you can imagine, standing alongside there is both exhilarating and also slightly scary as you try not to get squashed. This is A MUST if you are in Hanoi. It might sound like an odd appeal, but North Vietnam is home to the world’s cheapest beer. Called Bia Hoi, it will cost you between 10-20p for a glass. That’s right, you can get drunk on a single pound! To be fair, a normal beer will cost you around £1, so you’re hardly going to be breaking the bank while getting drunk in this country, but for the new travellers who are on a very tight budget, this low cost lager could help you to save the pennies. Vietnam is world renowned for its street food, but the hub is most definitely in Saigon. The streets are coated every night of the week with food markets, offering you the chance to try something different every single day. There are also a number of food tours available, where they can guide you through and get you to try all of the local delicacies. I hope you don’t walk in your sleep! With your bed floating 10-20 feet up in the air, these bamboo huts are held up by a few posts, which almost defy physics. The costs are cheap to stay here, while you will normally get a home cooked meal included in the price, as you get to experience a homestay alongside a local family. As much as I hate heights, I do love a rooftop bar. It seems like London is introducing one every week at the moment. 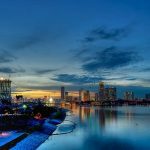 Saigon is a far cry from the rural life highlighted through most of this guide, however you can enjoy the best view of the city from the rooftop bars at either OMG bar or Glow Skybar. Cocktails will be a hell of a lot more expensive than if you had bought it from ground level, but the views make it worth the money. I could seriously look out for hours at the views, with the temperature staying warm long into the night.